If you are looking for a simple do-it-yourself project that will entertain your children for hours at a time, consider a sandbox. 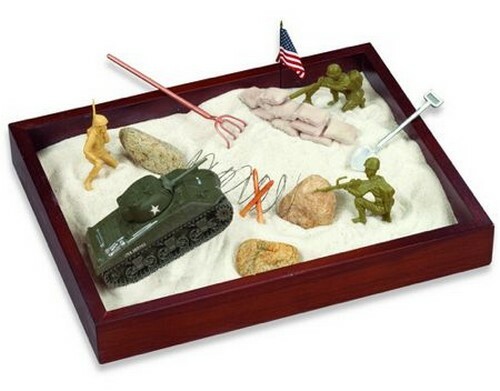 Siting – When you are siting the sandbox, there are a few items to consider. Are there tree roots about? Can you see the sandbox from inside the home? Is the site level, or at the bottom of a slope? Each of these aspects should be considered so that trees do not get damaged, children remain safe, and the sandbox does not get flooded. Layout – The sandbox can be of any size. Consider the standard sizes of wooden boards; some come in 8′ lengths while others come in 10′ lengths. Try to stick to standard sizes for simplicity. Mark the corners of the sandbox with stakes and then dig a hole approximately 6″ deep. This will yield more sand space and a certain amount of support for the side walls. Sandbox Walls – For an 8×8′ sandbox, lay two 8×8′ boards at your feet. Space them with a penny so that they do not touch sides. Mark the boards at the mid-point and 1/3 points. Pre-drill three support blocks from 1×3′ stock and countersink all screws. Countersink four more holes at the ends of each of the boards 2″ from the end on the same side as the support stock. Cut and attach a corner block to the end of one of the wall boards; you will be screwing the walls to this block. Look for any rough corners and sand them down. Repeat this process three more times. Stain or paint all sides of the sandbox walls and supports. Assembly – Roll out the weed fabric and place it over the sandbox hole. Make sure that any overlap is generous and that there are drain holes in the fabric. Attach two sides of the sandbox walls together at the edges. Cut, drill, and countersink screw holes into a triangular piece of blocking. Install this it at the tops and bottoms of the wall connections and screw into place. Place these two walls – support stock facing out – into the hole, making sure that they are flush at both the foundation level and aboveground. Place the third and fourth walls into the hole. Adjust the boards so that the sandbox is square. Now tighten the corner support screws and backfill around the sandbox. Sand – Make sure that you buy the right sand for the job – river sand. Any type of river sand is acceptable. What you do not want to use is contractor’s sand; it is dirtier than river sand and is mixed with all sorts of other minerals. 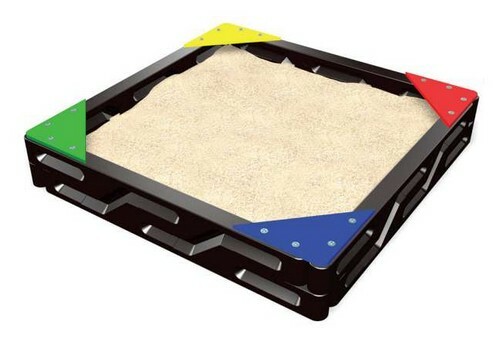 For a sandbox 8×8′, you will need fifty 50lb bags of sand. Add more sand over time as required.